For two decades, the native plant nursery and restoration program at Oceana High School has provided students with a direct connection to their national park. The program, managed by the Golden Gate National Parks Conservancy in cooperation with the Jefferson Union High School District, is focused on the student experience and offers youth the opportunity to grow native plants and restore coastal parklands. In fact, students volunteer right outside their own school at Milagra Ridge in the Golden Gate National Recreational Area. This year, the students returned to school in August to a re-envisioned nursery campus, including a new greenhouse and shadehouse. 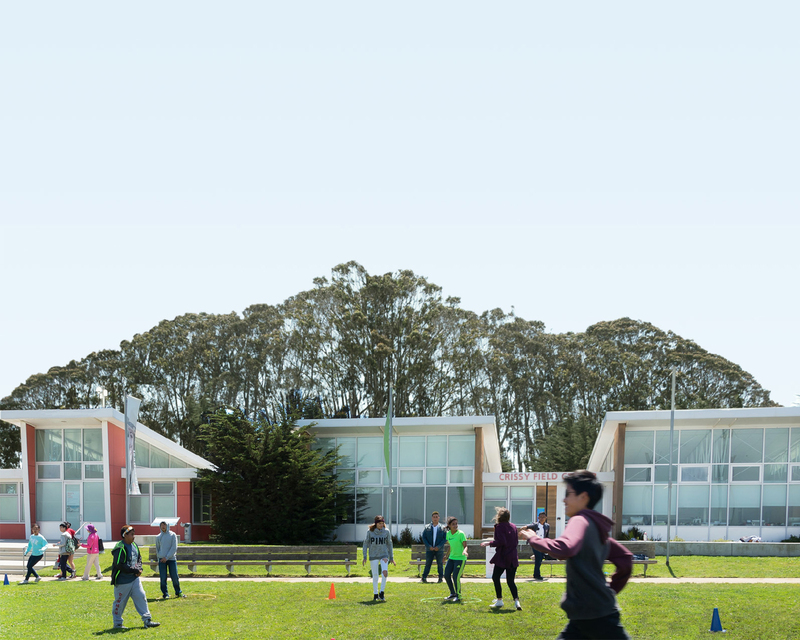 According to Park Nurseries Director Alisa Shor, the new space was designed to make as much use as possible of salvaged materials from decommissioned nursery structures from Fort Funston, Tennessee Valley, and Redwood Creek. The new greenhouse and shadehouse are part of a broader effort at Oceana to improve safety, accessibility, operational efficiency, and the overall experience of program participants. Modern nursery facilities like those unveiled this year at the Oceana Nursery are about more than aesthetics. They also allow for cleaner, more sanitary plant production. While students at Oceana High have to complete 100 volunteer hours by graduation, the Nursery and Stewardship program is about more than just meeting a requirement. “Youth development is a top priority,” explains Elsa Calvillo, youth programs manager of the Park Stewardship program. According to Calvillo, students often take on big responsibilities, from leading their peers to handling hefty equipment and tools. The connection between students and the parklands behind their school began before most of the current volunteers were born. If you would like help change these parks for the better, become a Parks Conservancy member to support the Oceana Nursery and Stewardship program and other conservation and education programs across Golden Gate. • Weekly drop-in volunteer program during the school year. Students accomplish a variety of restoration projects, from planting natives to monitoring habitat for the endangered Mission blue butterfly at Milagra Ridge and Mori Point. Students also work at the nursery by transplanting, seed cleaning, and pot washing. • Education and field trip support for the Environmental Science classes. The Conservancy’s San Mateo Park Stewardship team collaborates with Oceana’s Environmental Science Teacher, Ryan Ready, to facilitate in-class workshops, followed by guided field trips and restoration work. • Yearly backpacking trip. Led by Conservancy staff, this four-day backpacking program introduces students to backpacking, basic map reading, and navigation skills while nurturing students’ relationship to nature and the national parks. You can also volunteer at one of the park nurseries Wednesday afternoons or Saturdays.